360 degree video is poised to be the next big thing in content creation, with Virtual Reality (VR) experiences moving into the mainstream and people tiring of the same old angles it’s a natural progression for any sort of first person point of view style footage and action sports like surfing in particular. 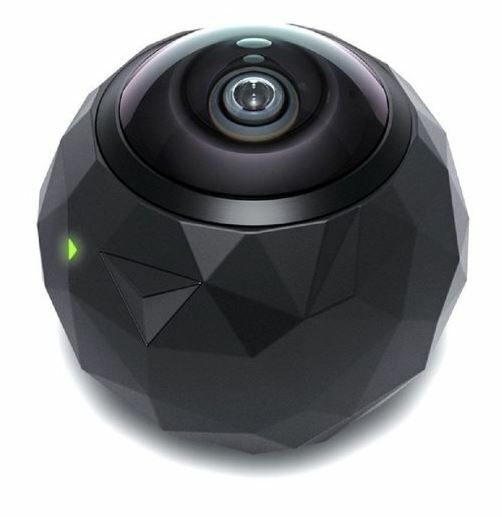 Why is 360 degree video getting more popular? Because you can now watch it more naturally – by waving around a phone or using some sort of VR head mounted display. Oculus Rift have just started taking pre-orders and promises to offer the best consumer VR experience yet. Even if you’re not willing to spend the $1500 on a powerful PC and Oculus Rift you’re able to enjoy a pretty compelling VR experience using a half decent smart phone and a very inexpensive headset based on Google Cardboard. Personally I’ve got an LG G3 android phone (which cost me about $200) and a $17 plastic headset and it works surprisingly well for viewing 360 degree photos and videos. Because of these advances and the impending popularity of VR headsets (Samsung, Sony, HTC, Google, Microsoft and Facebook are all investing heavily in this kind of technology), the options for displaying the content needed for these devices have started to explode. You can now create a full on line VR experience which is compatible with everything from a flat screen desktop monitor to a Google cardboard or Oculus Rift headset using standard HTML code using something like Mozilla aframe.io framework. So now all we need is a way to capture this kind of imagery, which is where this post comes in. How can you create 360 degree videos and photos of surfing? It’s not a new thing by any means, back in 2007 Red Bull used a “revolutionary new camera system” to film surfing in Tahiti and create the Blu Ray “Inside Teahupoo”. The camera rig was huge and involved a peli case packed full of electronics with a spherical camera set up poking out of it on a stalk which a surfer had to wear on his back whilst being towed into the wave. Up until recently creating this kind of content has been the reserve of big budget production houses who used high end cameras and editing techniques. How do professionals shoot 360 degree video of surfing now? 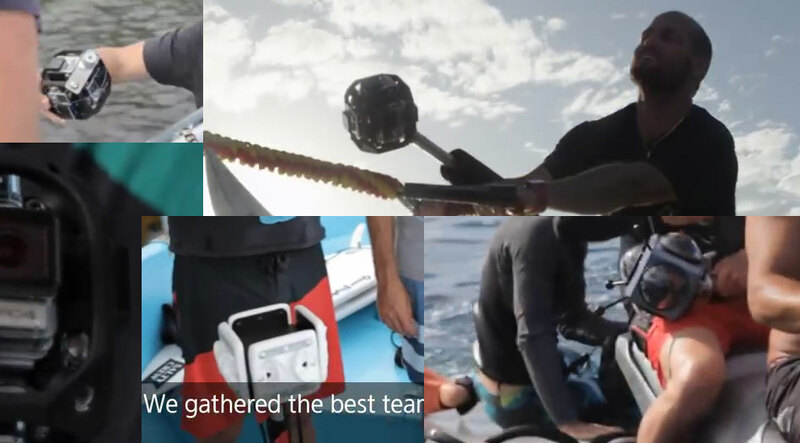 For a recent example which shows how far the technology has come check out the clip at the top of this post featuring CJ Hobgood and a much lighter weight camera rig on a fun looking day at Teahupoo. It’s no surprise that Samsung feature heavily in this space as they are a big sponsor of the World Surf League (WSL), and partnered with Oculus (who are owned by Facebook) to create Gear VR, a $99 companion system for high end Samsung phones which turns them into Virtual Reality headsets. It’s a really well produced video and I love this behinds the scenes stuff, but the person doing the subtitles I guess isn’t a surfer, at one point CJ says “So I’m going to take a picture of Reef, Reef’s going to take a picture of me…” I’m pretty sure he’s talking about Reef Macintosh – a well known surfer who appears in the same video wearing the Samsung Gear VR headset. What did CJ Hobgood and Taylor Steele use to shoot that 360 degree video? 1 x pole with foam rubber and some brackets $100? The Freedom 360 explorer plus is listed on Kolor.com for €699.00 ($760 US) and it holds 6 GoPro Hero 4 cameras, it’s also featured on GoPros website because they bought Kolor. I guess they haven’t been able to get the stock sorted out and make it available on the GoPro store yet, so at the moment you’ll have to buy it direct from Kolor.com. You could of course use the Kolor freedom 360 Explorer Plus rig to shoot under water as well, but the dome ports on the Abyss help retain a wider angle of view underwater which in turn helps when stitching together the 6 separate video files when editing. UPDATE: I figured out what it was, it’s actually for recording binarual audio from all directions. 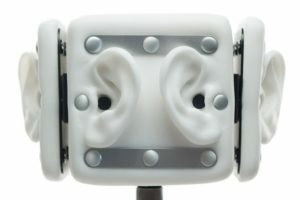 It basically has a set of two fake ears facing in each direction with a microphone embedded in each ear. It allows you to record realistic audio from the point of view of the camera for use in 360 videos and VR. This particular one is called the 3Dio Omni Binaural Microphone, available through the 3Dio website for $2,499. There’s also a white thing in my collage of frame grabs above. I’m pretty sure that this is just some sort of bracket on the boat, it’s probably for holding fishing rods or towels or something mundane like that. But the way they’re staring at it in the video made me think that maybe – just maybe – it was some sort of stereoscopic 360 degree video camera, along the lines of the Vuze camera, or maybe four Lucid Cameras bolted together. Why would you want to shoot with that type of camera? so you can get a true 3D effect – the two different lenses facing each direction recreate the effect of your two eyes. This allows you to add depth to the video when it’s being watched back on a VR headset. There’s no evidence of this in the final video and it does very much look like something dull that belongs on a boat, but I thought I’d include it just in case. How can I shoot 360 degree video of surfing on a budget? So the total cost (not including all the air fares, jet skis, drones and various other land, water and air based video kit) for creating the 360 degree video parts of the shoot is about $8,300 US (that’s assuming you only have 6 GoPro cameras and swap them between the over and underwater rigs). That’s probably prohibitive for most people, it certainly is for me, so I’ve been looking at alternatives that can get me something fairly similar for a more reasonable price. Here are the options I’ve come up with including my recommendation for the best option right now for those of us learning surf photography to create this kind of 360 degree video footage of surfing. My LG G3 is capable of shooting 360 degree photos using the Google camera app. You select the Photosphere mode and it guides you through taking 20 or so photos of the area from all angles, then it combines them for you automatically on the phone. It’s not ideal for surf obviously, but you can at least get some line-up shots which might be interesting. I’ve been creating a photosphere at some local surf spots so I can use them in my DIY surf log app, and there are a few issues, especially with capturing the sea when there’s waves coming in, but it works as a proof of concept for stills at least. I can’t recommend this option for surf action photography so we’ll move on quickly. You don’t need to go all in on the Kolor rig with 6 high end GoPro’s to get this kind of footage, there are more affordable options which use the same technique. As you can see there’s some set-up involved, you have to stick the GoPro mounts onto the back of the housings and attach them to the central piece, so there’s scope for this to go wrong, and your housing back door will have a sticky mount stuck to it from then on which isn’t ideal either. But for less than $200 US it’s a fair saving over the Kolor alternative that CJ’s using. The cheapest GoPro camera you’d want to use is the GoPro Hero+, it’s got WiFi for triggering all the cameras at once and it shoots 1080p at 60 fps, so that’s probably all you need to get pretty good results, they cost $199 each, so you could put together a pretty decent 360 degree video rig for about $1,400 US. That’s a saving of over $2,000 for what could be a broadly equivalent set-up to the one CJ used. If you were on a mega budget you could probably pick up the GoPro Hero +’s (or some used Hero 3’s maybe?) second hand and make your own 6 sided rig to mount them on somehow too. Can you use the 360Fly camera to shoot 360 degree video of surfing? It costs $473 US and they claim it’s “rain proof” (I read some early reports that said the rating is 5ATM, which is technically 50m of static water pressure, but that’s equivalent to splashing basically so it probably wouldn’t last long in the surf), there’s also no water housing that you can buy off the shelf, so although it looks interesting I can’t recommend it for surf video. 360Fly announced the next generation of their camera recently which ups the resolution to 4K, although one 4k video file isn’t actually as great as you think when you’re viewing it as a 360 degree video as you only see a small portion of the frame at once, hence why multiple GoPro arrays are popular. I can’t see anything about water proofing of the new one so I’ve given it it’s own slot here just in case it’s tough enough to handle surf. These Actioncam360 housings shoot vertically upwards into a mirror and offer not entirely terrible results. 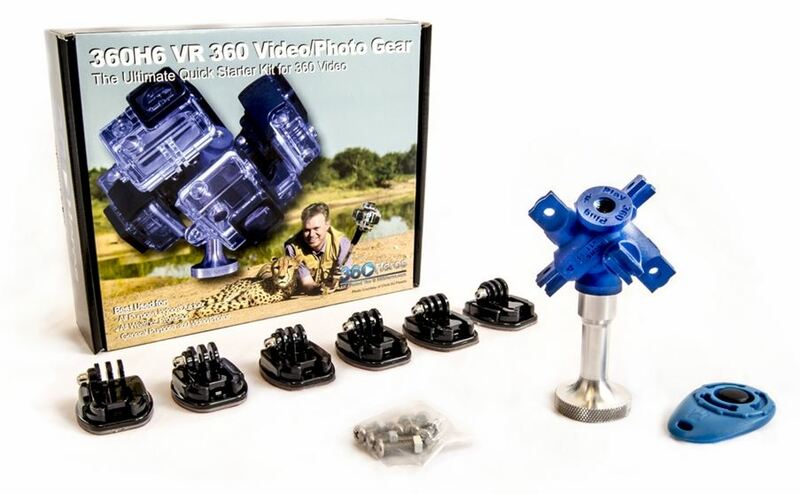 I was actually quite surprised by the quality, although it doesn’t seem to be anywhere near the multiple GoPro rigs obviously, you could get some fun, usable 360 degree panorama style video with one of these. The price is fairly reasonable at about $360 US, and because it’s using the original housing it should be able to withstand surf OK, but you miss out on the above and below, instead recording a panoramic strip of video, so you wont get the fully immersive experience you get in the CJ Hobgood video at the top of this post. Maybe this is a good way to test the water without much additional expenditure, after all if you’re reading this site you might well already have some sort of GoPro camera. Nikon isn’t a name you normally associate with small action cameras, although many surf photographers (like Clark Little) shoot with Nikon DSLR camera systems. There’s a good chance that their latest announcement could change that though, although there’s no pricing available yet it looks very promising as it’s waterproof to 30m without a housing and uses a two lens system to create respectable quality 360 degree videos without the need to stitch together 6 separate files. If it’s $600 or less then it’s a no brainer, this will be the best option available based on the sample videos that are available to watch on Youtube. Unfortunately I expect the price will be closer to $1,000 US, and it might take a couple of generations and a bit more competition before this gear comes down in price. 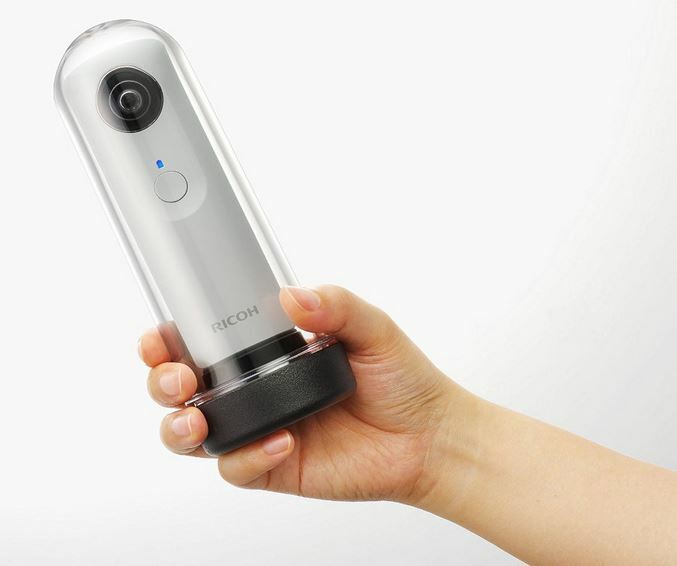 I was very, very close to buying a Ricoh Theta S at the end of 2015, they use a two lens design to take two 180 degree frames at the same time then stitch them together for an almost seamless 360 degree image. The thing that held me back was the resolution of the video, although it’s HD, that refers to the full size of the image which contains the full 360 degree shot, so you actually only see a small portion of the whole HD frame at any one time when watching it back as intended. The stills do look pretty good though, and there’s a time lapse style mode so you could set it going, pop it on top of your housing or on some sort of board mount, and get an inside the tube angle that you can enjoy in 360 degrees. You can see some examples of the footage on Youtube which are cool but not quite good enough to make me hand over $350 US for it. The housing doesn’t have a depth rating, which is concerning, but there’s no buttons (you can activate the camera via WiFi using your phone) and the screw on cap seems pretty full-proof. I’ve made housings similar to this for video cameras in the past and used them mounted on helmets and not had a leak, so I trust the design more than some, you might even be able to beef it up a bit somehow too. 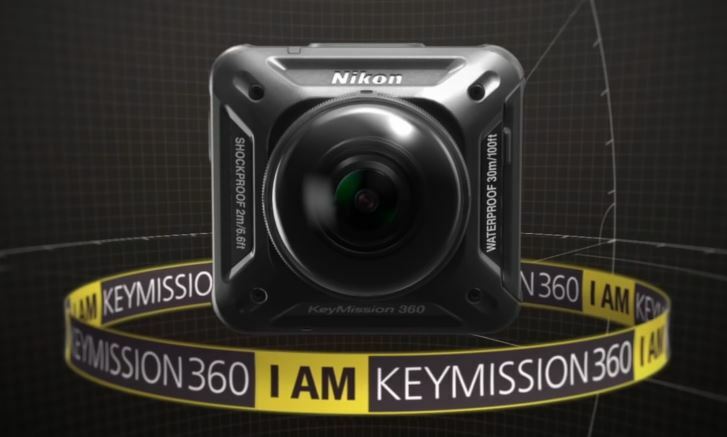 Right now I think the Ricoh theta S and TH-1 housing is the best option, but I’m personally waiting to see where Nikon price their KeyMission 360 at, if it’s anywhere near the Ricoh price I’ll be changing my recommendation for sure. 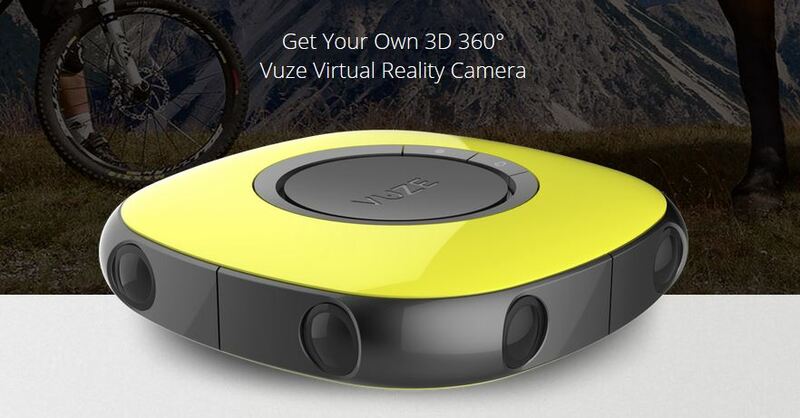 What other 360 degree video cameras are there? I’ve included the most interesting ones for me above but there are plenty more out there. Most of these aren’t water resistant enough to stand up to surfing but they might be worth keeping an eye on for the future. GoPro’s own 360 degree camera – there’s no firm news but it’s been hinted at by Nick Woodman during CES 2016, so we’ll wait and see what they come up with. How do you edit 360 degree video of surfing? 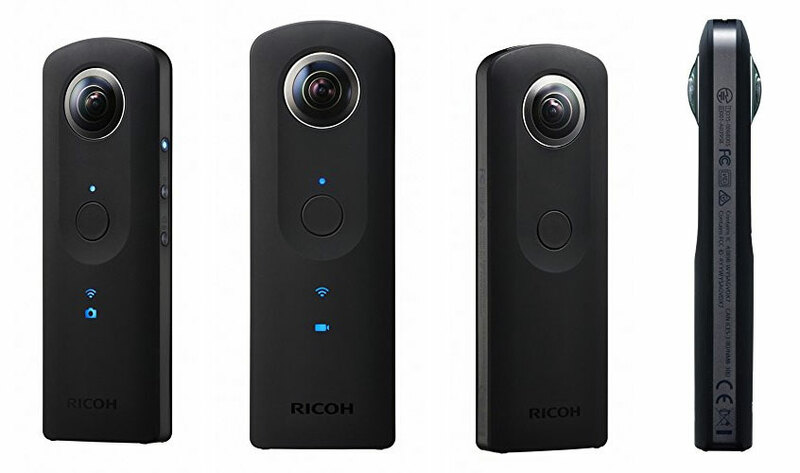 That’s for another post, there are a few options and most are quite involved, that’s why something like the Ricoh Theta S is a good option for most people. It takes most of the hassle (stitching the video files together) out of your hands and gives you a file you can work with in most video editing applications. If I get much interest on this post I’ll do a follow up with the video editing options which make most sense for surfers. So there’s no perfect solution right now to 360 degree video for surfing, but the good news is, by the time VR headsets become cheap enough to be in most people’s home (3-5 years?) the cost of a camera to shoot the video content for them will be a lot more reasonable, and computers to edit them will be much cheaper too. I reckon they put the burnt in subtitles on as content like this will be propagated on social media, Facebook being one of the biggest, where videos start playing, and will play in its entirety with no sound, if the viewer just rolls onto them on their feed and doesn’t click on it. So subtitles allow people to engage without having to leave their feed. Amazing that they have that mistake in there though, you would have thought someone in the know would have watched it back, it’s not like its that long! Good point Ed, that makes perfect sense. To be fair CJ talks pretty quick, just seems like an obvious error to miss in a big budget video. Pingback: Sony a6300 - Should you buy it for surf photography?